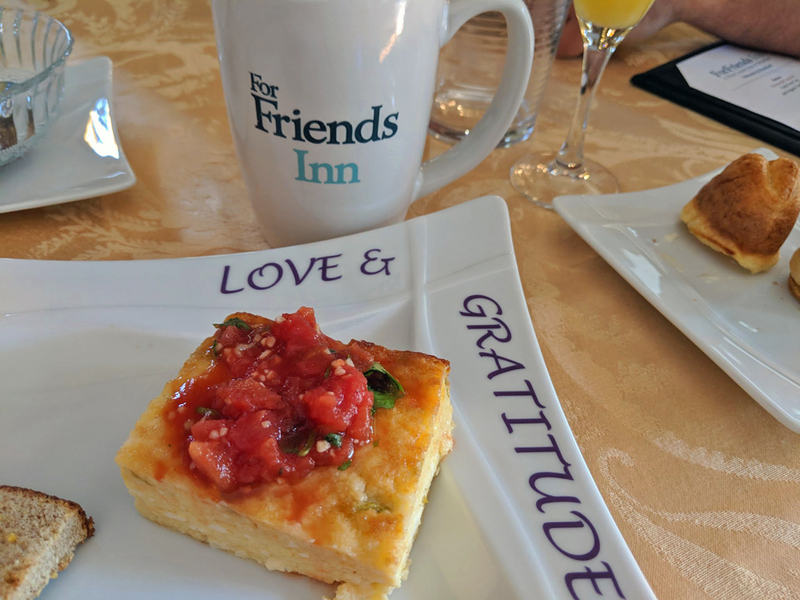 Every morning at ForFriends Inn begins with a hearty, 3-course breakfast of fresh fruit, yogurt, and homemade granola along with an entrè from a variety of egg dishes and breakfast meats. 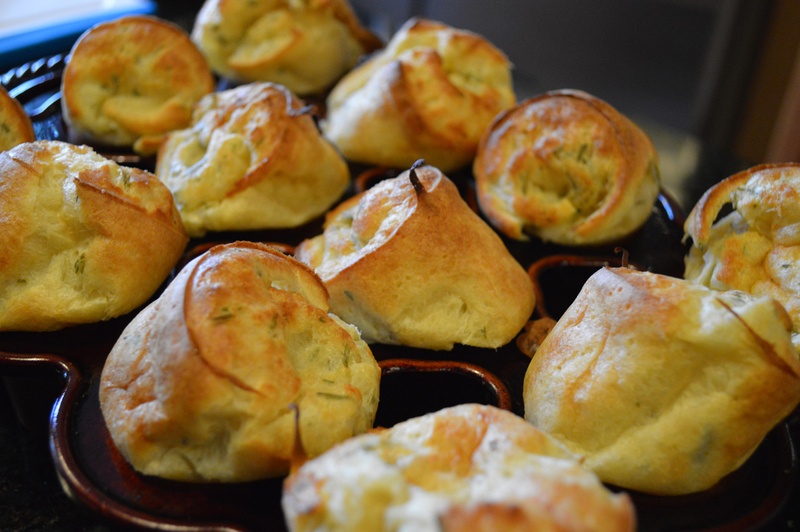 Each is accompanied by our homemade rosemary popovers made fresh with herbs straight from our garden. 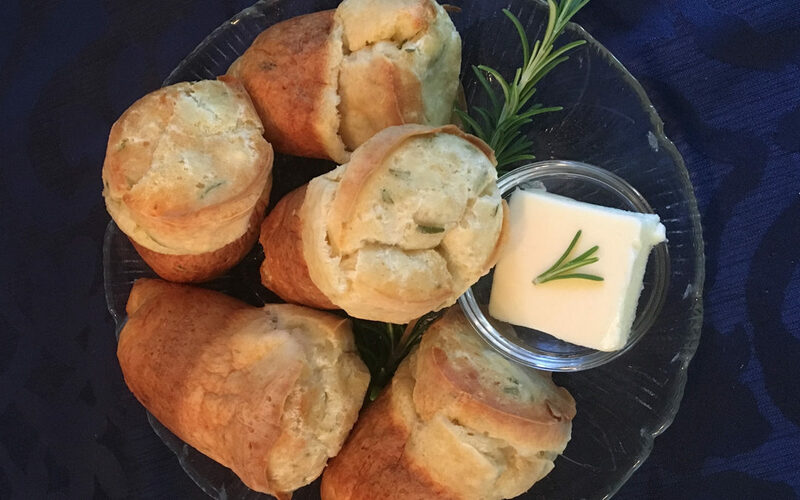 ForFriends rosemary popovers came to us from Debbie Campbell, one of the original four partners. 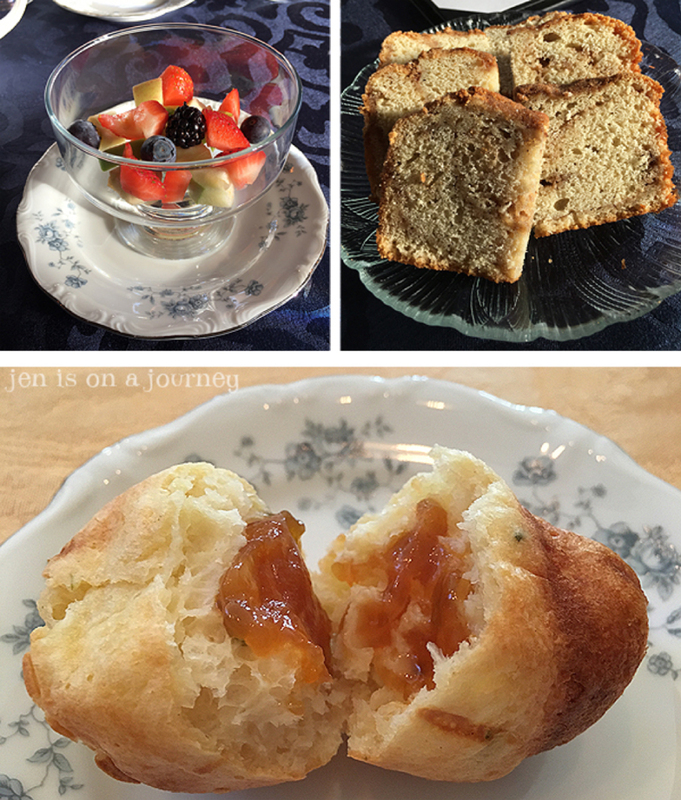 Debbie developed and perfected the recipe below beginning with our arrival in mid-2012. They have been a part of each breakfast ever since thanks to Debbie and now Sandra. 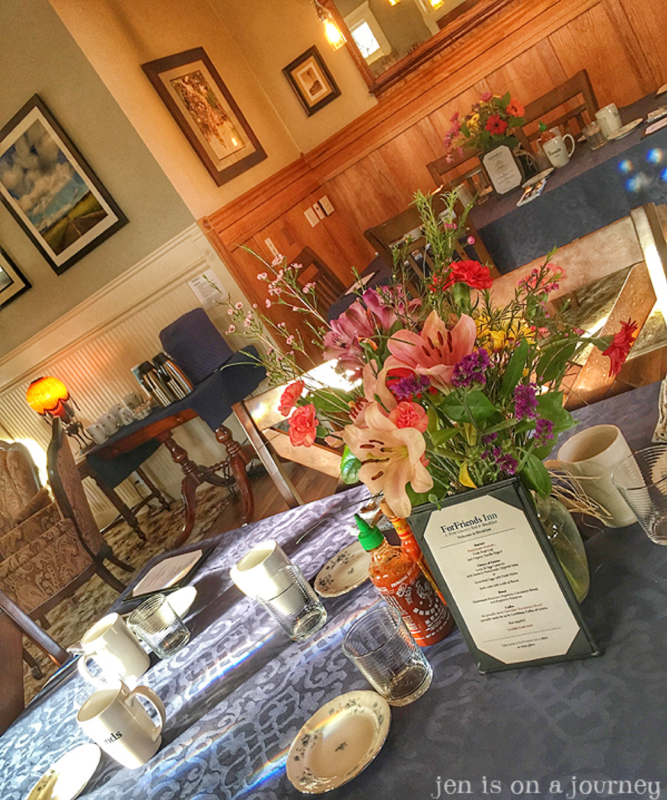 Breakfast is one of our favorite times of the day because it gives our guests a chance to get to know each other, to share their experiences, and to plan their day. Our job is to make sure each day gets off to a good start. 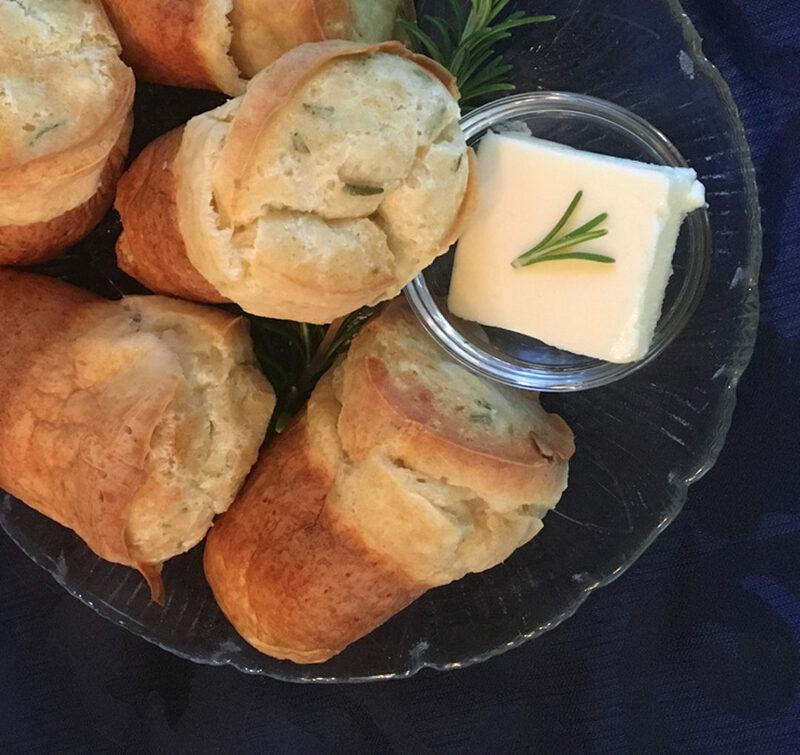 Our wonderful breakfast, complete with fresh rosemary popovers, helps to make sure that happens. Please enjoy the recipe below and if you think of it, send along a picture or two. We’d love to hear from you. Includes meats, cheeses, crackers, olives, nuts, and chocolate for 2. We’ll load all of these into one of our Wine Country Survival Backpacks with all of the gear you’ll need for a great outing. Can be made ready for anytime you prefer during your stay. Can be added to your reservation when booking on our website, or give us a call at (805) 390-9374 and we’ll be glad to add it for you. Please keep in mind that we usually need 72 hrs advanced notice for all add-ons. Includes a flourless chocolate cake for 2, a bottle of sparking wine, and 2 ForFriends Inn logo glasses in your room upon your arrival. Includes a bottle of red or white wine and 2 ForFriends Inn logo wine glasses in your room upon your arrival. Includes an arrangement of 1 doz roses, a bottle of sparkling wine, and 2 ForFriends Inn logo glasses in your room upon your arrival. 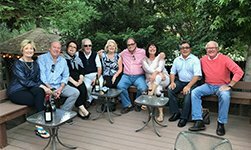 ForFriends Inn is the perfect place for groups of friends and family members to relax and reconnect. 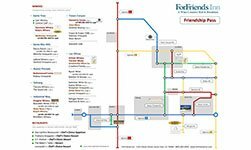 Imagine having all that ForFriends Inn has to offer all to yourselves! Group discounts and other values are offered when booking 5 rooms or more. Please call us at (805) 693-0303 to check availability and rates. Just A Little Fine Print . . . Cannot be combined with any other discount or offer. Discount available only when booking directly with ForFriends Inn. Weekdays are the best time to enjoy a little less traffic on the roads and a little more attention in the tasting rooms. At ForFriends Inn, we often offer special rates for weekday travelers. Call us at (805) 693-0303 to see what special rates might apply to your upcoming trip. 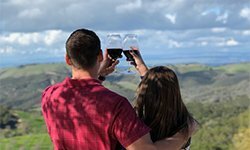 Guests belonging to a wine club of any winery within Santa Barbara County receive 5% off of our standard room rates. Simply enter promo code WC5 when booking on our website or mention your club affiliation when booking by phone and we’ll be glad to apply your discount. Every guest receives at check-in as ‘Thanks for Staying’, our Friendship Pass which entitles them to complimentary & 2-for-1 tastings at over 45 local wineries. 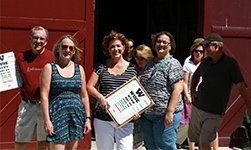 Also included are complimentary appetizers and desserts at several local restaurants as well as discounts on several local attractions such as horseback riding, hot air balloon rides, and wine tours.